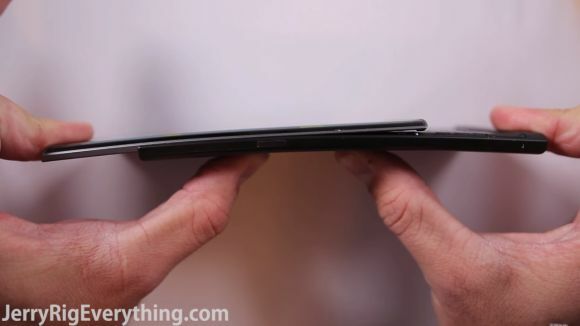 Will the BlackBerry Priv make or break in this durability test? A slider device would require a slightly different bent test, since the mechanisms that make up the ability to pop out the keyboard is a whole new ball game. Having said, JerryRigEverything uses a different methodology when tackling this odd smartphone, at least for our generation. Does the BlackBerry Priv get his seal of approval? If you’ve ever splashed your cash on gadgets, you’d probably know that these torture tests are fairly hard to watch but at least you’ll know if your pocket companion will stand up through the test of time, everyday scenarios, and then some. The YouTuber goes through the paces, while looking at the different components that make up the BlackBerry Priv; from the Gorilla Glass 4 display, the material on the back and the slide-out keyboard. For a closer look at the specs of the smartphone, head on over here. Now, while knowing how it fairs will it stop you from picking up the new Android BlackBerry Priv? Let us know in the comments below. BlackBerry PRIV: Can an Android smartphone with a physical keyboard save the day?